Great content, be it on your recruiting agency’s blog, a monthly newsletter sent to job seekers, or social media posts, is a fantastic way to connect with your readers and offer educational, interesting, and, thought-provoking information about your industry and your business. That’s all fine and good, and it’s an important part your marketing plan for running a successful recruiting firm, but when it all boils down, how exactly does your content serve you? In other words, how do recruiters use content to gain more business? That is, after all, the real reason behind publishing the content that you do, so let’s dig in and look at some specifics on how your content marketing strategy actually plays out. We’ve talked with some of the recruiting industry’s biggest players to find out the ins and outs of how they use content to earn more business. In Will’s case, hunkering down and producing actionable content has served Bulls Eye well, to say the least. Can you glean similar results with the content that your agency is producing? It’s important to note that using personal branding to create your content isn’t necessarily a guaranteed slam dunk. Christie Cordes, founder of Ad Recruiter, a firm with a niche market of recruiters working within the advertising industry, cautions recruiters against using their agency’s branding the wrong way. We all want to create content that is meaningful and useful for our readers, but how exactly does that happen? What does valuable content look like, and how do you go about creating it rather than just writing words than fall short with your audience? For Tony’s success at Social Hire, it all boils down to data and facts, rather than posting willy-nilly on things you think are important. Trust the research and do your homework before writing about something that you think your readers care about. Christie also believes that content should not be self-centered. She says, “As a recruiter or recruiting firm ask yourself ‘what is my end-goal for being an outstanding recruiter?’” In this case, Christie believes and tells us that your content is more than just an interesting read, but it’s a tool that can, and should, make you better at your job. Derek echoes the importance of providing value to your candidates through your content, saying, “I have had many people tell me blindly that they read my content, which is pretty cool. I also have people with varied skill sets reach out all the time for job seeker advice even outside my industry.” In other words, your content can broaden the scope of the net that you cast, in ways that you could never do through networking alone. Indeed. As she points out, being social isn’t just about making friends and sharing content for the sake of it. It’s to make your presence known and ultimately, to get more business for your agency, plain and simple. Tony also speaks to the importance of promotion, after you’ve created the content for your audience. Niche marketing lies at the core of any successful content strategy. If you’re writing content to appeal to everyone and their dog, you’re not going to find the type of talent you want because you’re looking too broadly. To hone in on the candidates your clients need to fill their coveted positions, it’s critical to consider your target audience in a very specific, well-defined way. Success is what we’re all after, isn’t it? That’s why you’re reading this article and that’s why you’re always on the lookout for garnering new business for your agency. Recruiters are only as good as their candidates are, making it hyper-critical to use your content to find the best talent and draw them in. With strong content, this can continually be happening, long after you write a blog post. Let’s review. As our panel of experts unanimously agree, content has power beyond what we can imagine, and the ways in which you can use it to recruit talent and grow your business are seemingly endless… if you do it right. The foundation of successful, meaningful, and shareable content is targeting the right niche and dazzling them with information, advice, and industry insights that they can’t live without. Make it specific, make it unique, and make it valuable, and you’re golden. These experts have done it brilliantly themselves, but not everyone is a unicorn in the world of content marketing like they are. If your agency struggles with creating content based on these principles, or your strategy needs a new game plan, consider working with a team of professional writers. Expert writers know content inside and out, have seen it all, and know what works. Partnering with a company that excels at what they do can help you check all the boxes in your strategy so you can get the exposure, likes, shares, and candidates that you’re after with your content. When you hit the sweet spot, your content will act as a catalyst to turn readers into candidates, clients, and new business for your agency, making your end-goal a reality and your firm more successful than ever. Get in touch and we’ll work together on creating content that wins more recruiting business and captures the corner of the market that your firm deserves. 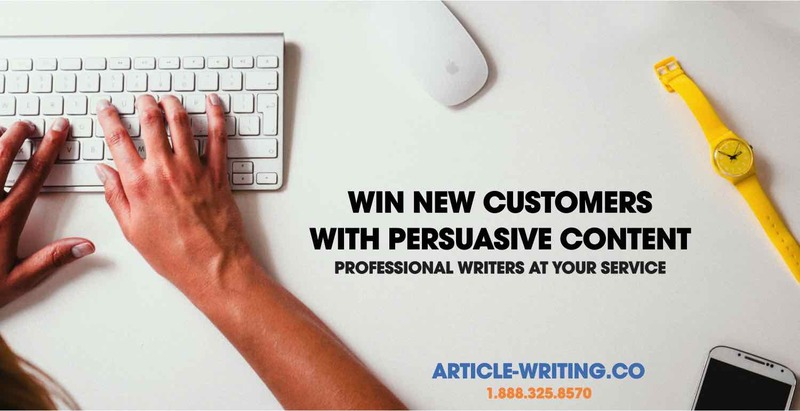 If writing expertly-crafted blog posts for your recruitment agency isn’t your thing, you can always hire a professional content writing service like Article-Writing.co. We’ll take care of creating your content, so you can get back to growing your recruiting business. Schedule a call with a recruitment content strategist - CLICK HERE!